2. grilled sausages over high heat until golden and cooked through, about 12 minutes. Transfer to plate. 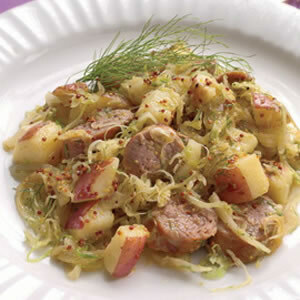 Serve with fennel salad.